The Mavguard submissions window is open! Our spring submissions window will be open until the end of June, so you have plenty of time to get your work sent in. We’re already thrilled by what we’ve seen submitted thus far (I admit it, I peek when I save your files), and I personally cannot wait to see what else you all have in store for us! The Edition V release is just around the corner, and it’s going to be one of the greatest editions we’ve released yet. Can you believe we’re already onto Edition VI?! We don’t accept submissions that have been published elsewhere, unless the rights have now fully returned to you. 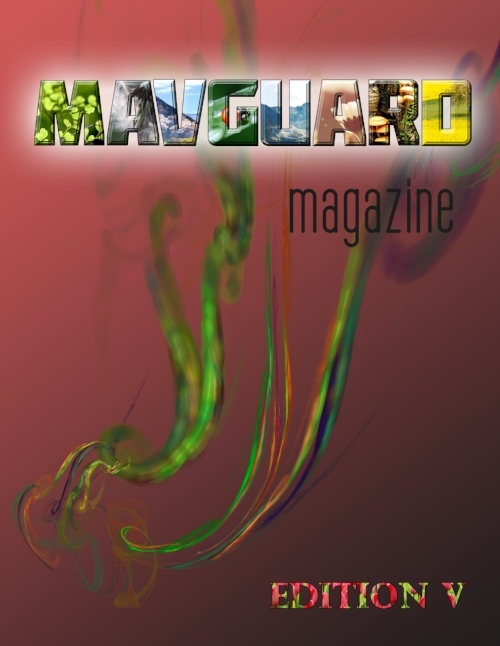 We do accept simultaneous submissions, but remind you that if your work is selected for this edition of Mavguard, you will have to pull your piece from other submissions lists. We accept short stories of any genre, poetry of any meter or rhyme, and art of every medium. We want you to #GetPublished, whether you’ve been published before or not. Pretty simple, when it comes right down to it. And you know what else is pretty?—the cover for Edition V! Check it out below, and let us know what you think!